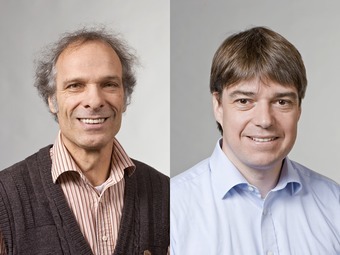 Experimental physicists Prof. Christian Pfleiderer and Prof. Peter Böni from the physics department of TUM are awarded the European Physical Society’s prestigious Europhysics Prize. The prize is awarded for the “discovery of a skyrmion phase in manganese silicon” and shared with three theoretical physicists: Prof. Alex Bogdanov (Dresden), Prof. Achim Rosch (Cologne) and Prof. Ashvin Vishwanath (Berkeley). For a long time skyrmions were only considered as hypothetical particles in nuclear and particle physics. 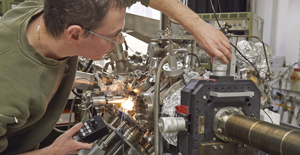 However, in 2008 Christian Pfleiderer, Peter Böni and co-workers at TUM, in close collaboration with Achim Rosch (Cologne) discovered their existence as topological objects in a magnetic material with the help of neutron scattering carried out at the FRM II. The existence of skyrmions as a property of magnetic materials, representing a type of whirls, had been anticipated as early as 1989 by Alex Bogdanov (Leibniz Institute for Solid State and Materials Research Dresden), and further theoretical studies in 2006 by Ashvin Vishwanath of the University of California in Berkeley. 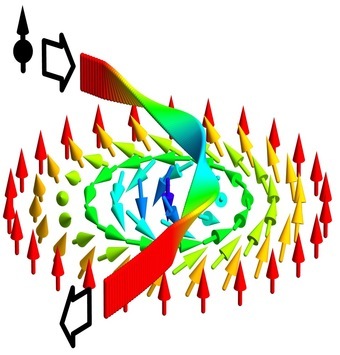 Possible future applications of the magnetic whirls are expected in the field of spintronics, as the basis of, for instance, extremely small and durable data storage devices. While a magnetic data bit on a modern computer hard disk requires some million atoms, the smallest observed skyrmions in magnetic materials are just composed of about 15 atoms. Consequently the shifting of a magnetic helix requires about 100000 times less current than storage bits based on conventional magnetic materials. Moreover, similar to a knot in a string, skyrmions are very stable objects. Since 1974 the EPS CMD Europhysics Prize is awarded every 2 years by the Condensed Matter Division of the European Physical Society for outstanding achievements in condensed matter physics. The long list of former laureates contains a notable number of later Nobel laureates like Peter Grünberg, Andre Gaim and Klaus von Klitzing, who was a professor at TUM’s physics department when he received the award in 1982. 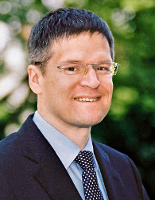 Christian Pfleiderer’s research on skyrmions has already been recognized in 2012, when he received an ERC (European Research Council) advanced grant, and in 2016 with the Max Born prize and medal. 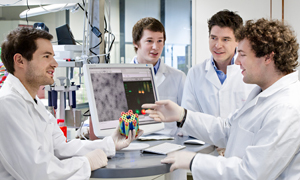 Achim Rosch received the Gottfried Wilhelm Leibniz award in 2013, the most important research award in Germany.